Alarmed Customer: What’s a fly doing in my soup? Waiter: I believe that’s the backstroke sir. Part of the humor here derives from the order brought to the chaotic event of an insect in the diner’s food. The waiter is able to observe the fly and classify its actions from an altogether different perspective. And the rest of the humor comes from the waiter willfully, or otherwise, misunderstanding the customer’s complaint as a mooted question. Rhythm, a primary component of music and poetry, shares that ability to reshape chaos. The day after I saw the Emily Dickinson film biography “A Quiet Passion” I returned to the same theater complex to see “Chasing the Trane,” a documentary about musician John Coltrane, a man whose work and life story has carried me across many a low place. You could predict most of the talking heads (what director Warren Beatty once called, perceptively, “witnesses” in his John Reed biopic “Reds”) that appeared in the Coltrane film. Coltrane’s children talk about their parents. Winton Marsalis and Cornell West are obligatory we suppose. A pair of Coltrane biographers chip in their perspective. 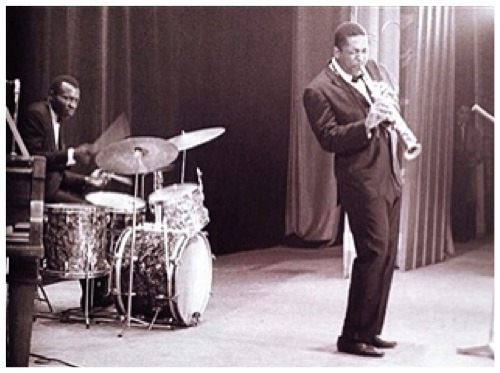 The surviving members of Coltrane’s great combos, Reggie Workman and McCoy Tyner, talk briefly. Sonny Rollins, Coltrane’s great contemporary, and Benny Golson, a musician who first knew John Coltrane as a fellow teenager in Philadelphia, are especially insightful. The answer is: swimming in the rhythm of Elvin Jones (the great drummer of Coltrane’s greatest hand). Like the original Homer who wrote our fly in the soup joke, Elvin Jones could converse with whatever new melody, whatever mistaken-for-mere-chaos invention, that John Coltrane or Eric Dolphy could invoke. Densmore watched him do that on the bandstand closely, and then applied what he learned when he later was called to add order to the Dionysian deconstructions of The Doors’ lead singer, Jim Morrison, a man who had the touch of a poet quickly smothered by drink, drugs, and uncharted celebrity. Densmore’s part in the film is to add to the thought that John Coltrane lived as if he could converse with the universe and approach its Creator with what he had heard from it. Densmore’s addition: but it’s the drummer that is the witness that this is happening now, in the time we are all beating. Coltrane may swim out in the tide of the cosmos, but Elvin Jones knows what stroke he’s swimming. I call today’s audio piece “Dream Big!” June is the month of graduations and their obligatory talking heads delivering commencement addresses, most of them deputizing themselves as present-day Ralph Waldo Emersons with mature advice for the audience. However, “Dream Big!” doesn’t present the tale from some sundry gray eminence—instead it has some words from a young man, the British musician Kiran Leonard, who asks us to look at the dream of Herman Sörgel. Kiran Leonard’s music takes several forms and may still be forming, but his words that I adapted for use with my music in “Dream Big” were taken not from a song, but from a short statement broadcast by the BBC. In it, Leonard uses Sörgel to encourage us to take on creative projects we think are beyond us. Good advice for young people—but I also took it as good advice for this old man as I started the Parlando Project in 2016, and needed to contact some hopeful audacity. And now, this week, as I am readying this post, I need John Coltrane and Herman Sörgel, Emerson and Kiran Leonard levels of such hope as I mourn the needless death of a young man and our pretentions that we can do nothing about it. 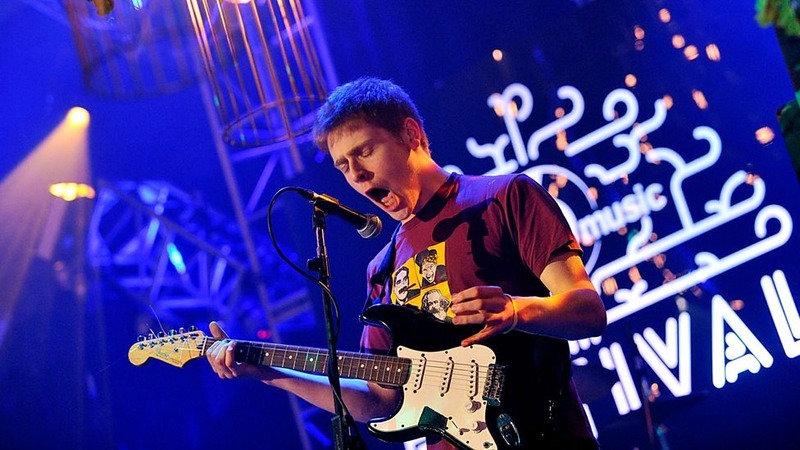 To hear more of Kiran Leonard’s music you can see this live set from last year here, or view the promotional videos for songs from recent albums here and here, or read this interview/introduction/review. To hear my performance of “Dream Big!” use the player below.